Forged JOHNNY JOINT rod ends feature forged steel construction, a 1 inch-14 right hand threaded shank and come fully assembled with our standard JOHNNY JOINT internals and has 2.625 inch wide ball center with a 9/16 inch Thru bolt hole. These units are externally greasable via a zerk fitting. 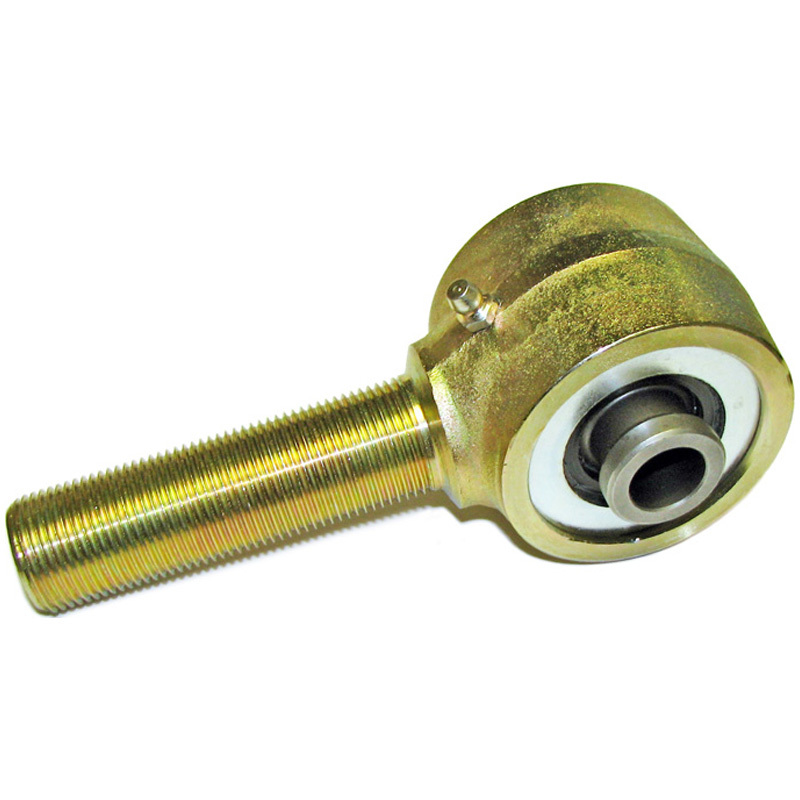 Units will also accept our 9/16 inch greasable Thru bolts as well, available separately. Finished in gold zinc plating. These can be used in any Currie adjustable lower control arm, as well as in any type of universal application for those building their own arms.